Looking to make the switch to chemical-free beauty products? Then we suggest you check out Yeka, a Chennai-based hair and skin care brand that uses only natural ingredients in its products. 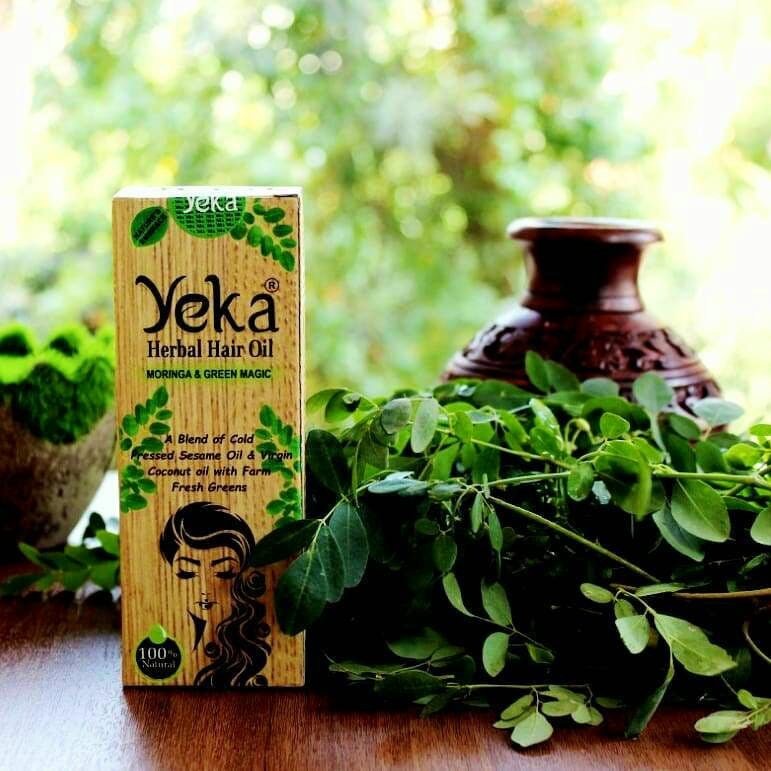 Keeping it simple with natural skin and hair oils, Yeka presents a chemical-free alternative for your daily beauty regime. Their ‘Golden Glow Skin Oil’ made with rose petals and virgin coconut oil is apparently very effective in tackling dark circles, dry skin, and skin pigmentation problems. Priced at about INR 350, this can be used as a nourishing agent in your scrub, post-facial serum, face primer, moisturizer and more. Equally popular is their herbal hair oil that is made with iron and zinc-rich moringa, cold-pressed sesame oil and virgin coconut oil. Priced at INR 350, this can also be used as beard oil and is apparently known to reduce dandruff, improve hair texture and control hair fall. Given these multiple uses of Yeka's products serve, the brand has become quite popular online. And if it's won your heart too, be sure to place your order quickly because Yeka is running a special discount on its website. Also, happy pampering, people!